The Oz Quickdraw is perfect for lightweight missions and long routes. 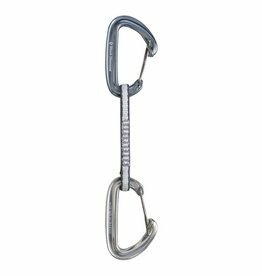 Super-light carabiners are mounted on Dynatec to create quickdraws that minimise weight. 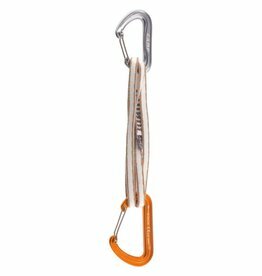 These quickdraws are suitable for alpine climbing, trad onsighting, and any other scenario where minimum weight is desirable. 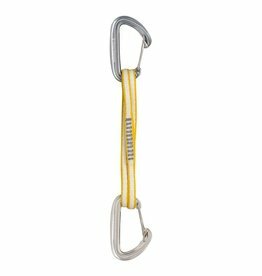 Equipped with the Nano 22 carabiner for the gear end and the updated full-size Photon Wire for the rope end the Mach Express is versatile and lightweight. 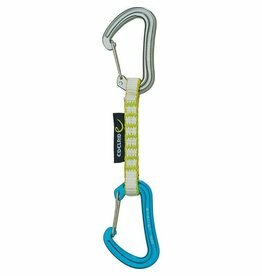 Two of the lightweight Oz carabiners and a 60 cm Dynex Runner in a classic alpine quickdraw configuration. 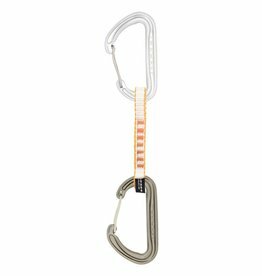 The lightest quickdraw set on the market is here: the Edelrid Nineteen G Set. Perfect for long alpine routes.